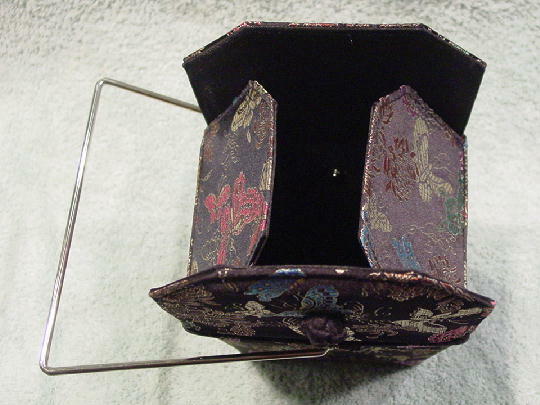 This never-used black background purse is styled to resemble a Chinese food takeout box. Black fabric covers the firm (probably a very thick cardboard) inner structure. 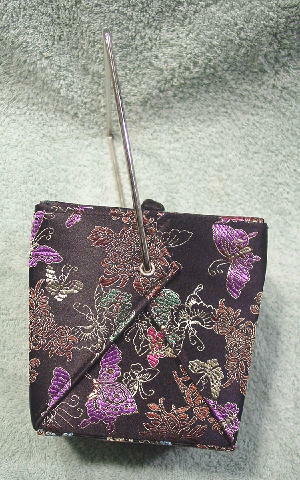 It has a black fabric lining and a silver-tone metal handle. 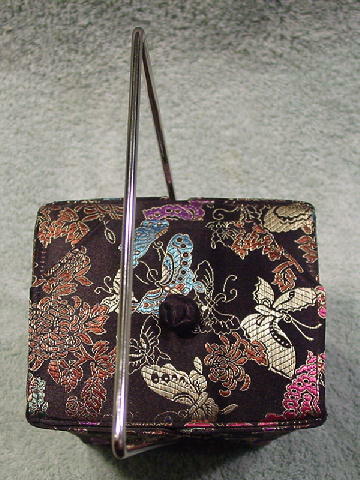 There is a floral and butterfly design pattern in blue, purple, rust, hot pink, green, and pale silvery-yellow. The inner side flaps overlap 1 1/4". Both outer flap lids have magnets in their center areas and the lids overlap 3". There is a black braided cord top knot accent. She sold it because it was a birthday gift from her now-exboyfriend.